The Duo Deluxe Rollator can also be used as a transit chair and features ergonomic handles, loop handled brakes and padded backrest. Easy to fold and available in 4 vibrant colours. 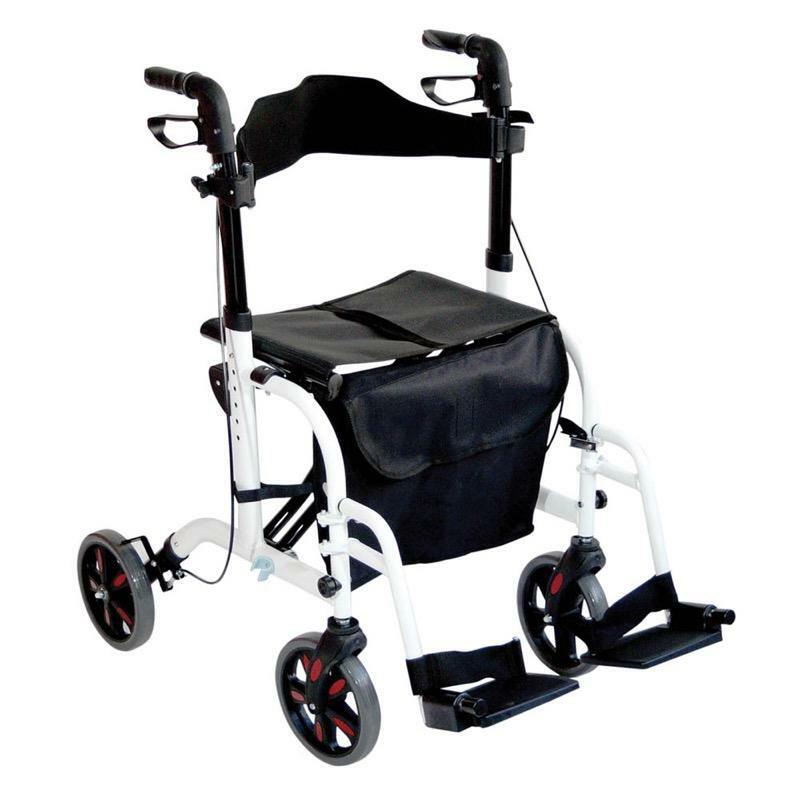 The Due Deluxe 2 in 1 Rollator features built in footrests which means it can also be used as a transit chair, therefore allowing the user to be pushed by a carer. The rollator includes ergonomic handles, loop handled brakes and a padded backrest and is simple to fold and easy to store. The handle height can be adjusted to suit various users and there are four vibrant colour options available - white, red, blue and orange.